Microsoft hosted a panel at the Game Developers Conference in San Francisco showcasing some interesting new details about the service. Those details were shared on Twitter by Easy Allies’ Daniel Bloodworth and Windows Central’s Russell Holly. The panel was an interesting dive into how developers will be able to implement xCloud into their games with minimal or no effort at all. Yet, they will also be given the tools to create bespoke controls and features in order to make their games more cloud-friendly if they so choose. The mission and strategy of the service are to allow players to play the games they want, with the people they want, on the devices they want. Gamers are playing on multiple devices, but games frequently don’t translate well to other games. Also, lots of people watch others play games while they play games and chat with friends simultaneously. Below you can see a map of the datacenters, which include 54 Azure regions, over 161 km of fiber, and 135 over Edge sites. The project aims to be seamless in the way that it doesn’t require developers to modify their code to support it. Touch controls and overlays will be implemented with the Touch Adaptation Kit, and those who do want to make dedicated implementations to support the cloud will have the tools to do so, instead of using the generic ones. Below you can see the default touch setup, but this may not work for every game, so developers can create their own schemes. Generic glass controls will be available, but Microsoft let’s developers make their own controls on glass as well. Here is a look at customized control layouts created for Dead Cells, Cuphead, and Forza Horizon 4. 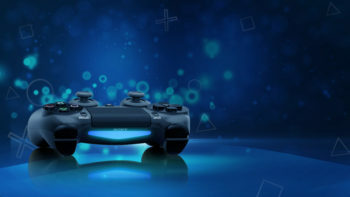 The system can also detect when the game is played in the cloud, and enable custom elements set by the developers to make it more friendly to that environment. For instance, temporary save games can be implemented to counter possible disconnections, but they would be automatically deleted when the user reconnects in order not to influence difficulty. Now we’re taking about what makes a game Cloud Aware. No need for a streaming version of the game, Cloud Aware tools can be detected and activated on run if you’re in an XCloud space instead of on your Xbox at home. Menus can also be adapted to touch controls that are easier to use on mobile platforms. Developers can set up multiple layouts. For example a Halo game can have a setup for FPS gameplay, one for mobile, one for the back for the Warthog, and more. Every layout can be activated when developers want players to be able to use it. Setting up multiple layouts is a thing you’re going to want to do. Halo is the example given. Shooter mode. Vehicle mode. Back of the Warthog mode, and so on. Azure can also help with matchmaking. Users on the same server can be matched with each other. If that isn’t available, users closer in location will play together. Developers have controls in Azure to make matchmaking easier. If you’re on the same server as someone else, Azure will connect you two first. Developers will also be provided latency-measuring tools to fine-tune the experience and test their games in extreme situations. Latency measurement tools are available, because XCloud will never be as good as local gameplay. Interestingly, while Xbox One games are the initial focus, the server can also be used to play high-end PC games on low-performance devices. Last, but not least, we learn that xCloud hardware is currently being shipped to the datacenters. 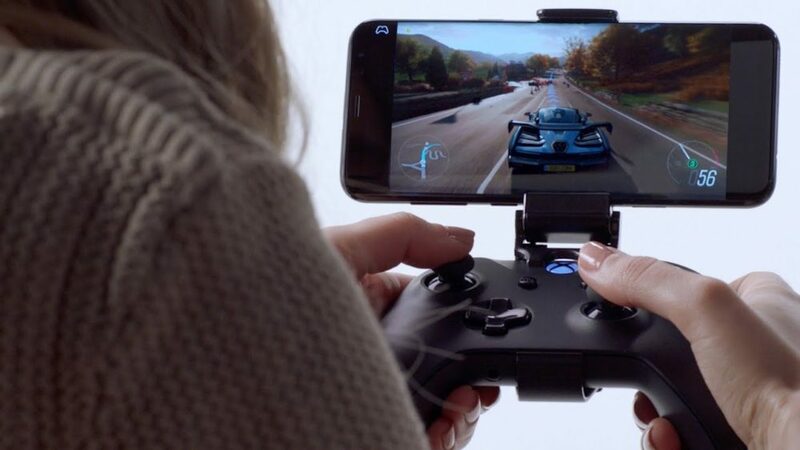 If you’re not familiar with Project xCloud, it’s a service in development at Microsoft and based on its Azure infrastructure to provide Xbox games on additional platforms, including PC, mobile, and possibly more. It will enter public trials later this year. If you want to see it in action, you can take a look at a demo showcased during the latest episode of Inside Xbox.